Kollmorgen offers various electronic motor drives with advanced control technology, multiple fieldbus connectivity options, and control interfaces. We’ve put more torque and more features into a smaller package, so you can create a more compact and capable machine or vehicle. Choose from a broad selection of servo, stepper and vehicle drives in a wide range of input voltages and output power levels. Kollmorgen drive technology is enhanced when used with both our motor designs and automation controllers. Configuration and programming software is integrated with drive and motor combinations. Kollmorgen drives are also versatile and can run a broad range of standard and specialty motors with various feedback types. Kollmorgen drives adapt to changing technology and many integrate directly with safety solutions to meet new machine safety directives. For servo drives, a cornerstone of Kollmorgen is high bandwidth. This is achieved with three distinct advantages. High control loop update rates are the backbone of performance in drive technology. Add in real world tuning tools that allow engineers to easily deploy filters that make up for common mechanical system problems like vibration and load matching. High resolution feedback systems make the most of motor technology so Kollmorgen uses the highest level of interpolation between feedback and amplifier. For stepper drives Kollmorgen offers many options from compact micro-stepping drives to full feature position indexing drives. All Kollmorgen stepper drives offer micro-stepping functionality. 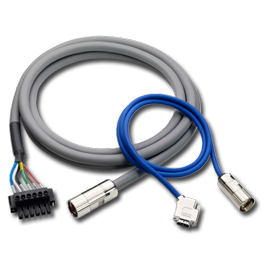 Most offer other key features like compensation for midrange instability and idle current reduction for cool running. Connectivity is a key aspect in machines so fieldbus options are plentiful. 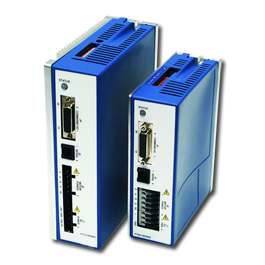 We support many popular Ethernet fieldbuses like EtherCAT, Ethernet /IP, Profinet, SERCOS III, and SynqNet. 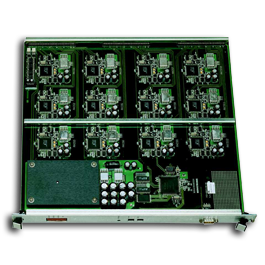 Support for traditional fieldbuses is available on certain models as well, including Profibus, DeviceNet, CanOpen, RS485, RS232, and SERCOS II. Another important technology increasing machine productivity and safety is Functional Safety and Motion Safety. 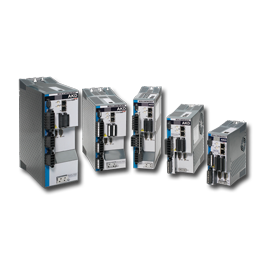 Kollmorgen’s AKD servo drives and S700 servo drives are both available with standard and optional safety features to help machine builders achieve SIL2 or SIL3 rating, or Performance Level “PLd” or “PLe”. This allows machine builders to create inherently safer machines with flexible safety zones with less wiring and configuration than ever before. Supporting products are developed using the IEC 61508 specification and can allow builders to certify machines adherent to the ISO 13984 specification when applied using proper specification practices. Features include simple STO to integrated Safe Stop modes through full Programmable Safe Logic controllers for complete machine safety.